Floods: How they affect you and how your Advocate can help! - Scarsdale Premier Insurance Agency | Advocate Brokerage Corp.
Floods: How they affect you and how your Advocate can help! Spring is here and that means we are ushering in the rainy season. While our weather this year has been anything but typical, we still thought April is a good time to talk about floods. Flash Floods – Are the #1 weather disaster. Flash Floods occur when there is intense rainfall that results in rapid flooding in less than a six hour time period. A flash flood has occurred in each of the 50 United States over the last 5 years. Tropical Storms – When a tropical storm rolls in, it is time to batten down the hatches. High winds, tidal surges and pour rain can cause lots of damage. Keep in mind, even if your primary residence or secondary home is not a water front property, damage from a tropical storm can happen 100s of miles from the coast line! Snow Melt – When winter temperatures are higher than normal or spring comes early, melting snow can cause a large runoff of water in a short amount of time. With the ground still hardened, the water cannot be absorbed and has nowhere to go. The Northeast is a prime candidate for this flood risk. Development – New construction and development can change the natural drainage and create a new flood risk. Parking lots, buildings and new roads all add up to less water absorption. Floods can happen anywhere. In the nine year period between 2005 and 2014, there were $3.5 billion in flood claims per year. A few inches of water can add up to 10s of 1000s of dollars in damage! With that in mind, it makes sense to protect your home from the risk of flood damage. Although some homeowner policies offer limited coverage for water damage, it does not offer protection from flooding. (It may cover water damage due to a sump pump failure or a burst pipe.) Flooding is typically a standard exclusion on all home insurance policies. The National Flood Insurance Program (NFIP) is available to almost everyone. There is a 30-day waiting period from the time submitted before the NFIP policy goes into effect so it is wise to act before the threat of any flooding is on the horizon. The NIFP does not however, cover your furnishings, floor coverings, carpets, media systems or items in your basement, if the basement is below grade. It is unlikely here in the northeast where most houses have below grade basements, but if the flooding does rise up to the first floor, it would cover up to $250,000 for the house and $100,000 for the contents. The last few years have brought many changes to Flood Insurance and we know the constant fluctuations in regulations and flood maps can make many homeowners confused. The good news is, we are here to help! We will explain how your property is designated and what that means for your rates. We will explain the policy to you, so that you can fully understand it. Coastal rates are expensive, because the exposure is considerable. We often recommend and explain the merits of excess flood insurance … to help your investment be better protected. We partner with a handful of high end carriers that offer their own specialized flood products for existing insurance clients at very favorable prices. However, this is based on the flood zone and is not available to everyone. 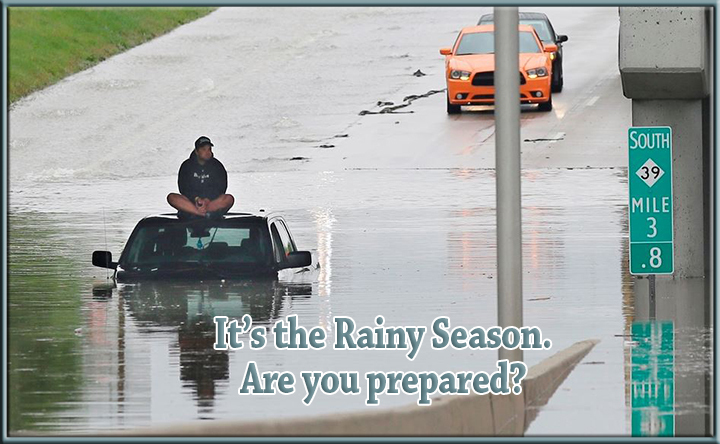 Now is a good time to set an appointment with your advisor so that together we can make sure that you are getting the best flood insurance you can afford that will protect both your primary residence and secondary home.